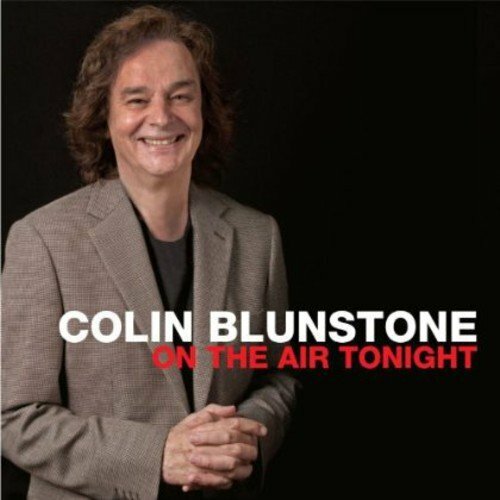 Colin Blunstone is lead singer of iconic 60’s band The Zombies, whose hits include the classics ‘She’s Not There’ and ‘Time of the Season’. The band have seen a huge resurgence in popularity over the last few years, having recently completed a magical world tour that culminated in a breathtaking show at The London Palladium last year. Colin continues to tour regularly worldwide as a solo artist and with the current Zombies line up. Colin’s Spring tour dates will be a continuation of his popular Autumn/ Winter solo tour at the end of last year and will visit the UK, Holland and Belgium. Colin will be performing a mix his own great hits and Zombies favourites. Born in Hatfield, Hertfordshire on the 24th June 1945. He went to school in St Albans. Colin’s solo career began after the The Zombies, split in 1967, with ‘One Year’ on Epic Records, from which the hit single ‘Say You Don’t Mind’ was taken. Two more albums on Epic followed, ‘Ennismore’ and ‘Journey’ which spawned the hits, ‘I Don’t Believe In Miracles’ and ‘How Can We Dare To Be Wrong’. This was followed by a spell living in California where he signed for Elton John’s label, Rocket Records and released three critically acclaimed albums, ‘Planes’, ‘Never Even Thought’ and ‘Late Nights in Soho’. Returning to the UK, Colin supplied the vocals for Dave Stewart’s huge hit version of ‘What Becomes Of The Broken Hearted’ followed by further hits with Smokey Robinson’s ‘Tracks Of My Tears’ and The Alan Parson’s Project’s ‘Old And Wise’. Colin has released two further solo albums ‘The Ghost of You and Me’, renewing his partnership with producer Jon Sweet and arranger Chris Gunning and ‘On The Air Tonight’. Colin and his solo band will be touring the UK throughout April. A new solo album is planned for 2019.